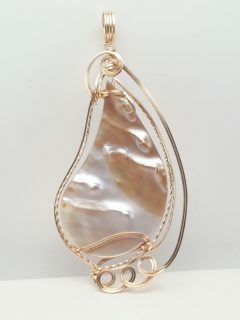 Blister pearls have such delicate colors, and this one was cut in a gentle teardrop shape giving it a very elegant look. 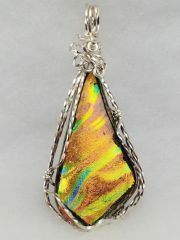 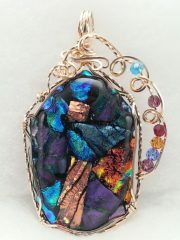 I used 14 karat gold-filled wire and designed this pendant using what I call a modified Sculptured style. 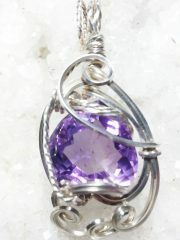 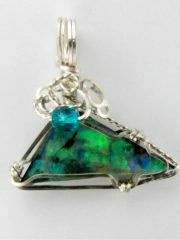 The pendant is 3 1/4″ long and 1 1/2″ wide which makes for a nice sized Statement Piece. 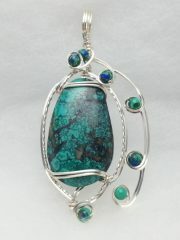 As with all my pieces, this is a One of a Kind (OOAK).